The current dates of our meetings are listed below. Click here for details of our previous meetings. During 2008 the Lord opened the door for a very small group of believers to commence public meetings on Sunday mornings near Honiton, the first of which was held at Awliscombe Village Hall on Sunday 21st September 2008 at 10:45am. Although at present hardly qualifying in terms of numbers to truly be called a 'church' nevertheless we have since that time continued to meet for worship and as a witness to Christ and His gospel in the local area. A warm welcome is extended, both to those who know and love the Lord Jesus Christ and who wish to gather with us to worship Him, and also to those who would like to hear more of Him and His truth as declared in His gospel. Honiton Sovereign Grace Meeting is a gathering of God�s people, who meet under the sound of His Gospel, having come to know the forgiveness of their sins through the blood of Jesus Christ shed upon the cross. God has gathered us under this Gospel by His grace that we might meet as one people, united in Christ, who knowing the love of God as revealed in Christ to His people, seek to worship Him �in spirit and in truth�. Having gathered (as a group of between 8 and 12) to hear the preaching of the Gospel of Christ in Honiton, on Monday nights since 1999, since September 2008 a few of us also began to gather in a public hall on Sunday mornings as a witness to the truth in the local area - this being the first day of the week, on which day Christ rose from the grave having conquered sin and death for His people in order to grant them everlasting life in Him. Though our Sunday meetings are tiny in number (and now fewer than when we began) we still thank the Lord for His goodness towards us over the past year as we have looked to Him to bless the preaching of His word, to His glory alone. Whilst we cannot tell what the future holds, we nevertheless know that it is Christ alone who builds His church, that He uses His gospel to build it, and that wherever He sends forth His word it never returns unto Him void. These meetings are held at Awliscombe Village Hall at 10.45am on Sunday mornings. 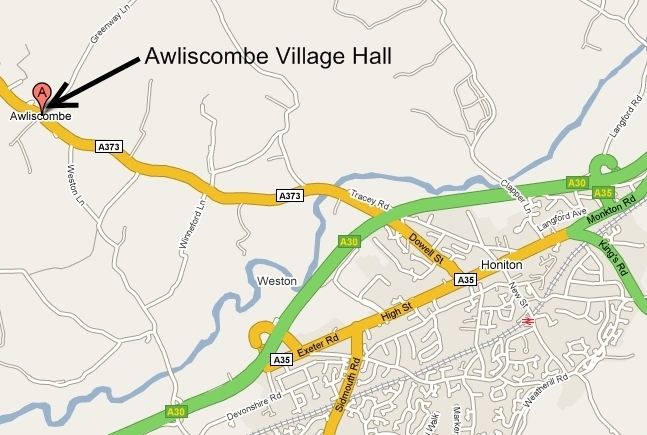 Awliscombe is just a couple of miles north of Honiton on the A373 to Cullompton and the village hall is easily found on the right hand side as you enter the village from the Honiton side. A large car park is situated right next to the hall, alongside the Awliscombe Inn, with ample parking space, and the hall has full disabled access, toilets and a kitchen. The format of the meetings is simple, comprising the reading of God�s word (the Bible), prayer, and listening to the preaching of Christ in His Gospel. For more information including a map click here. At the first Sunday morning meeting on 21st September we heard the following message preached. On Wednesday April 22nd and Thursday April 23rd we hosted GraceAndTruthOnline.com�s 2009 Sovereign Grace Conference again in Sidmouth, Devon. We were very pleased to welcome back Pastor Don Fortner to preach again in East Devon at these meetings, following his visit to us last year, which proved such a blessing. Messages from the meetings are available for download on playback at the Honiton Sovereign Grace Meetings or 'The Church in Devon' websites. Listen to the two messages delivered by Don Fortner at the 2008 Sovereign Grace Conference in Sidmouth here. The two messages delivered by Don Fortner in Honiton in 2007 can also be heard here. Our thanks and appreciation go to all who attended (both in 2007 and 2008), to the Lord's servant for faithfully preaching Christ to us, and most of all to our Sovereign God who so blessed the preaching of His word to the souls of His people on these memorable and blessed occasions. A number of churches hold Bible Conferences annually or occasionally at which the Gospel of Christ may be heard faithfully preached by a number of preachers. For further details of these and other conferences or events Click here. For links to a number of churches where the Gospel of Christ is faithfully preached as well as links to various other helpful websites Click here. Also, take a look at the new map we have produced using 'Google Maps' of 'Free Grace' meetings in the UK including the entire list of 'Gospel Standard' chapels as listed in the September 2007 issue of the Gospel Standard Magazine: Click here for map.